One unexpected delight of home-buying here is discovering gorgeous backyard gardens. The Westport Historical Society even sponsors a special “Hidden Gardens” tour (June 9th this year – mark your calendars as they always sell out). But another type of garden is hidden in plain sight. Community gardens -- town-owned, group-run and wildly popular -- have sprouted all over Fairfield County. Westport’s Community Garden is one of the largest. Located on Hyde Lane next to Long Lots School, it boasts more than 100 plots on an acre of land. Any Westport resident or town employee can grow vegetables, herbs and flowers there. They all share tools, tips (and bounty). It’s a community effort involving more than gardeners. The town offers guidance and manpower. Local firms and farms donate machinery, soil and a picnic table. Westport’s pioneering Green Village Initiative helps too. The garden has “grown” to over 100 members. A few miles north, Lachat Farm provides plots to any Weston resident, employee or local organization. It’s all organic -- chemical pesticides and herbicides are prohibited. Volunteers maintain several plots for the Weston Food Bank; other gardeners help by placing excess produce in a cooler, where it’s delivered to the Food Bank twice a week. Weston Community Garden also hosts workshops throughout the season, and an end-of-harvest potluck dinner (complete with campfire). Fairfield takes it to a new level. A community garden in Drew Park has 46 raised beds for residents’ use, while four other gardens have been established solely to provide for those in need. · Grace’s Garden at Our Savior Lutheran Church, managed by Eric Frisk, UCONN Master Gardener, supports the Operation Hope Food Pantry. Eric has partnered with Ability Beyond to provide opportunities for young people with disabilities to participate in gardening activities. 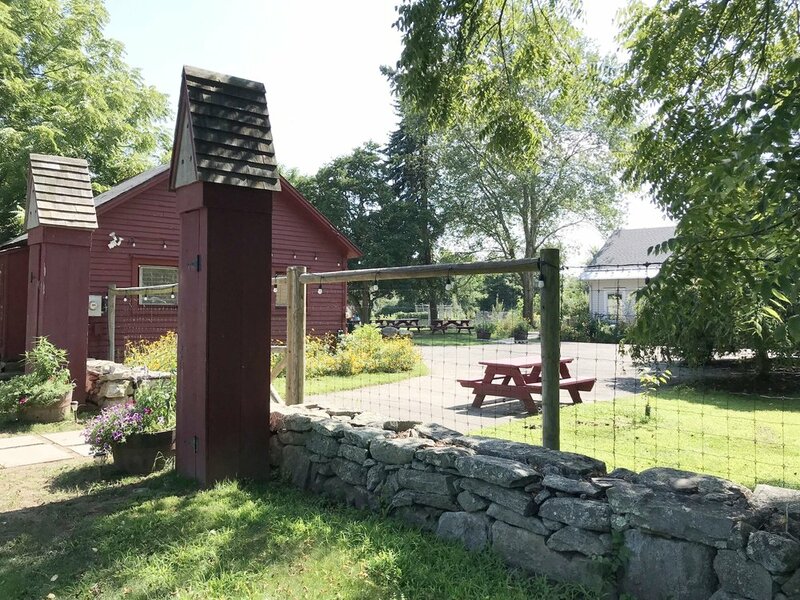 · St. Timothy’s Garden on the Hill, also managed by Eric Frisk, provides a quiet respite for those looking to tend to the vegetables, most of which are donated to the CT Food Bank. · The School Giving Garden at St. Thomas Aquinas provides students with wonderful opportunities for service learning, with an array of programs that have benefited Bridgeport Rescue Mission, Operation Hope, and local veterans. · Volunteers work the Operation Hope Garden, on the grounds of the First Church of Fairfield, solely to provide fresh produce for the onsite food pantry. Since 1975, Allen’s Meadow has welcomed Wiltonites. Its 50 plots are lovingly tended by a diverse community: young parents, empty nesters, older couples, best friends, first-timers and experienced gardeners. Norwalk’s Fodor Farm, the largest of all – offers 225 plots (8’ x 12’) to its residents for a mere $5. As you can imagine, plots are snatched quickly by many apartment and condo dwellers who grow and share their harvests within their communities. The Norwalk Health Department also host a Growing Gardens, Growing Health Program at the farm, offering gardening instruction, nutrition education, and cooking demonstrations to Norwalk families. So, this spring — grow for yourself or grow for others, either way get some vitamin D and mood boosting benefits along the way! Did you hear about Westport’s great osprey uproar? Every March for years, the magnificent birds return to their nest from a winter in South America. But this is not just any nest; it’s perched on a platform high above a busy Post Road parking lot. Westporters love watching each pair construct a new nest, fetch food, lay eggs, then teach their chicks to fly. This year, a parking lot renovation project threatened the ospreys. All weekend long, residents rallied together to make sure the nest was undisturbed. They made phone calls, offered to help build a new platform, and made the birds into instant celebrities. It’s hardly the first time the town rallied around a great cause. In fact, Westporters pride themselves on making their voices heard. Over 50 years ago, a utility company wanted to buy Cockenoe Island -- to turn the beloved camping and fishing spot a mile off Compo Beach into a nuclear power plant! Well! It took a while -- and $200,000 -- but Westport now owns Cockenoe Island. Wildlife flourishes, and every summer it is still a favorite destination for boaters. Cockenoe Island was big. But in many smaller ways, Westport makes its eco-commitment known too. For example, 100 gardeners have plots at the Community Gardens. They grow an astounding variety of produce there. They also enjoy true “community.” They share tips, bounty and friendship. They come from all over town, and span all ages. Their thumbs are green -- and so are their hearts. Every Thursday from May to November, the Farmers’ Market rocks outdoors on Imperial Avenue. Musicians play. Chefs show off their favorite recipes. Everyone smiles. When it gets too cold, the Farmers’ Market heads indoors, to Gilbertie’s Herbs and Garden Center. It’s a year-round institution -- and just one more way that Westport supports the environment. The Westport Garden Club, Greens Farms Garden Club and several smaller, similar clubs are another. Planting and caring for an ever-changing array of flowers, shrubs and trees, they make Westport look beautiful. No story on Westport’s commitment to the environment would be complete without Wakeman Town Farm. It’s many things to many people: a working farm (complete with llamas). A summer and vacation camp for kids. A place where teenagers volunteer, and learn to care for animals and the land. An educational center, with program for every age on topics from beekeeping to cooking. It’s the perfect spot for meetings and parties too. WTF -- as it’s lovingly known -- is as integral to the town as its ospreys. KMS Partners is a proud sponsor of Wakeman Town Farm. We support its many activities and fundraisers -- and not just with checks. We look forward to seeing you there! And -- thanks to the foresight of Westporters five decades ago -- there’s not a nuclear power plant in sight. If you look beyond real estate, from Hollywood releasing trailers for movies to fashion brands debuting a forthcoming collection at a runway show, these industries have mastered the art of pre-marketing to create interest and demand. Compass Coming Soon will do that same thing for your home — create excitement and anticipation for your property. Listing your property as a Compass Coming Soon Listing can build anticipation among potential buyers and brokers, drive up its value, and shorten the sales timeline. By creating a Coming Soon listing on Compass, we can create two opportunities to launch your property, thereby getting twice the exposure. First when the listing appears on Compass.com, and second when the listing goes live on the MLS and aggregators. Tap into our Compass.com Google search advertising to build momentum. We reach prospective buyers precisely when they’re searching to help increase traffic for your property. They’re older. They’re called “antiques.” They’re also some of the most unique homes around. Here at KMS Partners, we’ve noticed an intriguing trend. Antiques are back in favor with buyers. Younger folks, European transplants, down-sizers – all have asked to see homes that were built long before they (or sometimes, their grandparents) were born. As we’ve shown some outstanding antique properties in Westport and throughout Fairfield County (Location), we’ve noticed a few things. And, they want something else: the authenticity and character that antique houses provide. These were structures built to last. Every room had a purpose; every beam and nail meant something. Babies were born, children were raised, parents and grandparents lived together here. These homes have an indefinable but very real spirit. History lives and breathes in every corner. They truly are “homes,” cared for and lived in and loved. An antique house is not for everyone, of course. You’re moving into a place you’ll want to make your own. And this is 2019, after all. But there’s another new trend in real estate, which dovetails with this. The open floor plan concept – with its big spaces and uninterrupted views -- that’s been popular for quite a while is changing. People have begun yearning, once again, for walls. Older homes sure have them. They come in many different sizes and shapes. Buyers looking to put a contemporary spin on those rooms get something both original and exciting. It’s not only “old old” houses that are in demand. Those from “just” the 1920s and ‘30s have appeal too. They boast lots of architectural charm and detail – plus a bygone but very welcome sense of social flow on the ground floor. Homes of that vintage are delightful for entertaining, and family holidays. We see many clients from Brooklyn. They already know the character present in older homes. 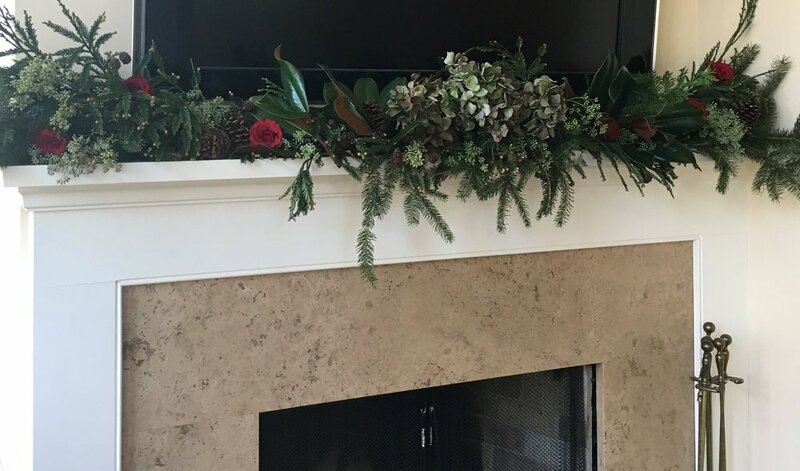 They love mantels with beautiful detail, high ceilings, old hardwood floors and exposed brick. Many of these newcomers work from home. They love the idea of an outbuilding or barn that can be converted into a home office. Fortunately, many antique homes have those additional buildings on their property. Europeans are looking at antique homes too. They appreciate the materials used – wide plank flooring, fieldstone and older (often smaller) bricks, exposed beams or rafters, plaster walls, higher ceilings, original glass and more. There’s a patina that is extremely hard to duplicate. Antique homes have been valued by their owners for decades – sometimes centuries. And they provide great value to the right homeowner. When we read this article, it became all too clear what was happening in our own yards. Some of us admitted to trimming dead branches from our boxwood hedges this fall in the hope that things would look better come spring. Now with spring around the corner and the outlook rather grim, it appears we have another thing to add to our spring to-do list. For those of us that love to wander the fabulous nurseries in Fairfield County, this may be just the excuse we need! Republished with permission from Redding Gardner, by Sean McNamara. There had been warnings for years about the coming plague, but outside of a couple of isolated plants there had really never been signs of Boxwood Blight here in Fairfield County until this fall. Then suddenly it was everywhere. A combination of cool temperatures and wet weather allowed this disease to spread. The prophecy was being fulfilled. Concerned homeowners were calling and asking me to look at their boxwood hedge that wasn’t looking well. Looking at sick boxwoods was nothing new. Boxwood Leafminer and Psyllid had been attacking this species for years. As I wrote in my 2013 blog post, Managing Boxwood Monocultures, for 30 years we have been planting too many boxwoods. Boxwoods are one of the few deer resistant evergreens. To stop the threat of deer damage we created the perfect habitat for insects and diseases that feed on this plant species. The difference is there is no treatment for Boxwood Blight. Worried homeowners looked to me to fix their sick plants and unfortunately the only remedy was to rip them out and start over. Thousands of dollars in landscaping was suddenly infected beyond recovery. The growers knew the damage this disease was capable of. Stories of boxwood growers burning entire fields were told at trade shows and landscapers were warned to only purchase from reputable suppliers. Boxwood Blight did not exist in our natural environment and could only enter our landscaping by riding on infected plants from a nursery or garden center. Stopping the spread of this invisible pathogen proved impossible. Now that it is here, it will inevitably spread. The sticky spores will cling to our hands, clothes, pruning shears and lawn mowers. When the weather conditions are correct, the spores will infect the leaves and stems causing black blotches and defoliation. After the initial symptoms appear the plants may temporarily recover, only to have the disease emerge again sapping the plants of energy until it ultimately succumbs. My business is curing plant problems, and usually there is a remedy for most pests and pathogens. But with this disease the cost may not be worth the cure. Currently the only course of treatment is applications of chlorothalonil every 10 days when the weather is around 60 degrees. Even then, if the weather conditions are favorable to the fungus you may still get an outbreak. Spending hundreds or thousands of dollars annually with no guarantee of infection prevention is probably more than most would want to invest. It explains why growers have resorted to burning thousands of plants in their fields. For most people, the best advice is to rip out their Boxwoods once they see symptoms and plant something, anything other than boxwood. And if you’re planning a new landscaping project look for alternative species. Some varieties of boxwood are less susceptible to the Blight, but none are immune. Best to use holly, azaleas, rhododendrons or anything other than boxwood. So say “bye bye” to the boxwood. They are still here for now, but won’t be for long. And remember that variety is the spice of life. When everyone else is planting boxwood, andromeda and spruce because the landscaper says the deer don’t eat them, remember you may trade one problem for a dozen worse ones. Broadway producers, and Weston residents, Alan and Barbara Marks gave the Kiwanis Club of Weston a rare view into the production process of a Broadway show. The couple is known for their work on Dear Evan Hansen, a Tony Award Winner for Best Musical. Other productions include After Midnight, Master Class, Finian's Rainbow, and the team have a hand in Hamilton. “Mr. Marks said theater has no equivalent of Hollywood’s studio system. Every production is a company, an individual business enterprise, and the producer is CEO, responsible for all that happens on stage: hiring a director, a casting agent, actors, writers, choreographers, composers, lyricists, negotiating with a theater, and everything else. Producers don’t own a show. Mr. Marks said they only “rent the right to present the work of other people for a certain period of time.” Everything is a collaboration. A producer “can’t change a word of the script, a note of a song, or a step in the choreography” without the consent of creators. According to Ms. Marks, producers work in a small world. There are only 41 Broadway theaters. Many of them have established, long-running shows, which means new productions compete for a stage in only three or four available venues. It is also a financially risky world. Mr. Marks said 80 percent of Broadway shows do not make money, and the costs are enormous. Ms. Marks estimates the average Broadway musical costs $15 million to launch, may take seven years or more to go from concept to opening night, and takes years just to break even. And sometimes it just doesn’t work out at all. A few years ago, Mr. and Ms. Marks made a large investment to develop a musical called “The Last Goodbye,” a brilliant concept inspired by the music of the late Jeff Buckley, who in turn had been inspired by “Romeo and Juliet.” A tryout in San Diego was promising. But the show needed changes to go to the next level, and the producers and creative team couldn’t agree on what changes to make. So, in this case, the show didn’t go on. Today, with a solid record of success, the couple has high hopes for a new production about Jean-Michel Basquiat, the one-time graffiti artist who, said Mr. Marks, “changed the landscape of contemporary art” in the gritty New York of the early 1980s. They are excited about the big-name Broadway figures who will be involved.” Follow the progress of this production by clicking Basquiat on Broadway. We can’t wait for what is sure to be a colorful production! Are you moving into the Weston area or just interested in knowing more about the very active, philanthropic Kiwanis Club of Weston? Contact member and KMS Partner, David Weber at 203.451.7888, david.weber@compass.com or visit Weston Kiwanis. Let's talk home staging. Love it or hate it, we still think it is a priority task to prep your home for a successful sale. On New Year’s Day Netflix premiered the eight-episode series on the virtues of the “KonMari Method” of tidying. A resurgence of the method first outlined in Marie Kondo’s book, The Life-Changing Magic of Tidying Up: The Japanese Art of Decluttering and Organizing has begun. The series sparks joy thanks to the transformation and the personality of Marie Kondo and those she helps. “First, put your hands on everything you own, ask yourself if it sparks joy, and if it doesn’t, thank it for its service and get rid of it. Simple enough, right? In the full article (click here), Cate tells of 8 lessons learned from the book. We think if you take her advice, you will make it through your clothes in no time. And we all know, uncluttered closets look BIGGER! Once I got to work, it was so much easier and more fun than I’d thought. This question of joy gives you permission to let go of off-color shirts bought on sale, dresses past their prime, skirts that always clung uncomfortably….Six hours later, I’d filled 12 bags with non-joy-giving clothes. Instead of panic, I felt relief—12 times lighter. It also felt like good karma: The best stuff went to a consignment shop, and the decent stuff went to a charity thrift store, off to see a new, hopefully better life. To keep these little folded packages standing at attention in the dresser, try using shoeboxes as drawer dividers. A smaller box is perfect for square scarves, a deep one in the bottom drawer for sweaters. You’ll be tackling the next category before you know it. Trust us, your home will photograph and show better…and you will love the way your home feels! Would you believe that our very own Karen Scott is competing in Dancing with the Stars - A Gala Benefit for ElderHouse? Modeled after the popular TV show, this exciting fundraising event has partnered Karen with an amazing, award-winning professional dancer, Manuel Trillo from Fred Astaire Dance Studio in Norwalk. Together, they will perform in a dance competition at the Gala being held on Saturday, March 23, 2019 at Rolling Hills Country Club in Wilton, CT.
Homebuyers have many reasons to move to Westport and Weston: Schools. Long Island Sound. Culture. Proximity to the city. “Libraries” are not on the list. But once folks arrive, they quickly realize that their new towns boast two of the finest suburban libraries in the country. They are handsome. They provide a range of services and programs, for people of all ages. They even have books. Twenty-first century libraries have moved far away from the sssshhhh! model. Today’s libraries are vibrant, active places, filled with creative people doing intriguing things. And you won’t find more variety and activity anywhere than here. Right now, the Westport Library is in the final phase of an 18-month “Transformation Project.” When it’s completed in June, the already beloved library will be truly astounding. A flexible “Forum” in the Great Hall is the centerpiece of the renovation. The tiered grandstand – think of the very cool structure in Times Square – can be reconfigured for any of the more than 1,700 programs presented each year. Art, movies, music, dance, food, authors – you name it, the Westport Library does it. Now, they’ll do it even better. Reimagined children’s and teens’ spaces, an expanded café with outdoor terrace, and many more meeting rooms are in the final stages. The exterior is as compelling as what’s inside. The Westport Library has always featured stunning views. But the Transformation takes even greater advantage of its riverside location, with new entrances and areas luring users to relax and hang out. Westport’s downtown is undergoing a major renaissance. The library – just steps away – is an important anchor. Check it out. You’ll add it to your list of reasons to love your new home. The Weston Library, on Norfield Road near the town center, is smaller, but no less dynamic. Boasting the latest technology, a crack staff and a welcoming vibe, it’s a true community resource. Compelling programs draw Westonites here seven days a week. A recent $5 million gift from Dan Offutt will help his beloved Weston Library deliver even more services to its many dedicated users. A new, modern 2-story wing will enable expanded programs in arts, technology and exhibitions, along with 3D printers, robotics, a recording booth and exhibition area. You may come to this area for education, water, golf or theater. But you’ll discover our libraries. They’ll draw you in – and you’ll wonder how you ever lived without them. Learn more about Westport’s Transformation Project, Daniel Offutt’s gift: an Art & Innovation Center, the Westport Library and the Weston Library. We’re not New York — but we’re close. We’re not Boston — but we’ve sure got that New England vibe. We’re not like any other place in the world. We’re Connecticut. Our little state has a lot going for it. In a 24/7 Wall Street survey, Connecticut is the 3rd-best place to live in the country. Residents are among the best educated in the country (39% of adults have at least a bachelor’s degree); our median household income of $77,385 a year puts us in the top 10%, and we’re one of only 10 states with a life expectancy over 80 years. All of us at KMS Partners are pretty proud of our state. We’re particularly pleased to live and work in Fairfield County. We may be biased, but we think this is an amazing area. New England has plenty of water, hills, beauty and history. You’ll find all of that right here — at your fingertips. Everywhere you turn, there’s something exciting and inspiring. We’re a direct, comfortable train ride from New York City. And there’s no better place than the train to work, socialize or relax. Our schools rank among the best in the country — by every metric. The community feeling in our public schools is strong, deep and meaningful. A community like Westport offers astonishing amenities. With a thriving arts center; newly renovated, 21st-century library; town-owned country club; beaches and parks galore, there is something for everyone. Westporters’ only complaint is that there’s not enough time to do everything. Westport has a heritage as an arts community. For over 80 years, the Country Playhouse has been a leading regional theater. Working artists are showcased in galleries throughout town. Staples High School music concerts and theater productions rival professional ones — and the entire town turns out to see them. Westporters care. There is a culture of philanthropy, and a longstanding tradition of inclusion. From the bustling Farmers’ Market and innovative Wakeman Town Farm, to the airy, modern YMCA and many gyms and health clubs, to popular farm-to-table restaurants, Westporters embrace a healthy lifestyle. In 1945, “Christmas in Connecticut” thrilled movie audiences all across America. More than 70 years later, a true New England winter in Connecticut is still the most wonderful time of the year. There’s so much to do here at holiday time. Each of us at KMS has our own favorite activities, events and traditions – and they are not limited to the actual holidays. Here are a few, reminders for many and suggestions for those of you we’ve had the pleasure of helping make Connecticut home! The Staples High School Candlelight Concert. For 78 years, high school musicians have awed audiences with a processional, production number, and stirring “Hallelujah Chorus.” You don’t need a kid in the concert to love this one, and it usually sells out! For tickets, click here. Looking for that perfect tree? Try the H. Smith Richardson Tree Farm (run by the Connecticut Audubon Society) on Sasco Creek Road in Westport’s Greens Farms neighborhood. Or Jones Family Farm in Shelton. You can actually chop your own at Maple Row Tree Farm in Easton. And don’t miss the Wakeman Town Farm Holiday Tree Lighting on Friday December 7th for some traditional family fun! The Westport Historical Society offers “Happy Holly-Days,” a month-long festival including tree decorating, candle making, Menorah decorating, a gingerbread contest, Solstice storytelling, and (of course) Santa for the kids. The centerpiece of the WHS month is a Holiday House Tour. You’ll be green (and red) with envy at these New England beauties. All information: www.WestportHistory.org. Around the corner from the Westport Historical Society, on Main Street, Westport offers horse and carriage rides on weekends. And just up the Post Road, the Westport Country Playhouse is the enchanted setting for “The Nutcracker” (December 1 and 2). Everyone loves personalized gifts. You can make your own at Hands on Pottery in Fairfield and Darien. Inexperienced? No worries. Their little elves can help. Maybe some fresh air or time for yourself? Take a hike in Weston’s Devil’s Den. Or skate by the Sound at Longshore’s great outdoor PAL rink, then relax with hot chocolate (or cocktails) at Pearl at Longshore. Longshore is also the site of an Uncorked Wine Tasting Gala. It’s a (very tasty) fundraiser for Westport’s Sunrise Rotary, on November 30. Every town has its perfect sledding spots. In Westport, we love Birchwood Country Club and Winslow Park. Winter is also a great time to visit Philip Johnson’s Glass House in New Canaan. Not far away – in the same town – is beautiful Grace Farms. New Canaan is also famous for its Holiday Stroll. This year it’s November 30 and December 1. The Historical Christmas Barn in Wilton is like a trip down memory lane. Ornaments are hung from all over the world. For an amazing gift shop – true colonial America style – head to the Wilton Historical Society. Not far from Fairfield County, there’s nothing like a hockey game at the “Yale Whale.” Okay – this may beat it: Dinner at the original Pepe’s Pizza on Wooster Street! New Haven is also filled with wonderful museums. We recommend the Yale University Art Gallery, the Yale Center for British Art, Wadsworth Atheneum in Hartford, and the Aldrich Contemporary Art Museum in Ridgefield. Kids of all ages love the old steam train in Essex. It’s even better than a sleigh! Fall is a time to have an attitude of gratitude! What are you thankful for? There is so much to choose from! Fall is a time of year that we can especially pay attention to the simple gifts, the family time, the wonderful friends and blessings that have been brought into our lives. We may forget how lucky we are to have hot showers, reliable transportation, work to do, food to eat, and clothing to choose from. Sometimes during the holidays, it can be easy to get caught up in the busyness of the season: the house cleaning, the big meals to cook, the gifts to buy, the stress of it all. By showing your thankfulness for the simple things, and accepting each day as a gift, you will not have to look far to find reasons to be grateful. Plus, your gratitude, will inspire others around you to do the same. Challenge yourself this holiday season to make a list of the things and people that make you smile. Then put it on your fridge, on your bathroom mirror, or even in your car, so you can be reminded daily of your blessings. We at KMS Partners are certainly blessed with the camaraderie of our successful partnership, enjoying the benefits of the #1 Coldwell Banker office and living and working in our wonderful communities. We are especially grateful for the loyalty of our wonderful clients. May you have a happy, healthy and fun-filled Thanksgiving! The Westport Real Estate market continues to show some strength at the lower price points. Although there appear to be a good number of buyers in the marketplace, homes at the higher price points continue to linger on the market. Some buyers report that they are waiting for the results of the elections. It is likely that rising interest rates might incentivize some buyers to buy sooner rather than later. So far, this year closed sales of 333 are running just 1.2% behind last year's sales of 337. The average sales price for the first three quarters, however, was down 6.7% from $1,574,478 in September of 2017 to an average of $1,469,600 this year. For sold properties, the average time on the market was 91 days, down from 122 last year. Please see market activity reports for more information. We at KMS Partners remain optimistic in our outlook. The fabulous lifestyle and award-winning schools that Westport has to offer, in conjunction with lower property taxes, continue to be very attractive! The market in Weston has been declining modestly over the past few years. So far, this year prices are down over 5%. However, weakness on the higher-end properties can account for some of this average price decline. The last quarter of 2017 was strong and with the possibility of increasing interest rates in the future, there may be a spike in sales before the end of 2018 as well. Weston's natural beauty, its award-winning school system and two-acre zoning are still attracting buyers — especially for the lower and mid-range homes. So far, this year Weston has closed 129 sales as compared to 126 sales for the first three quarters of 2017. Average days on market are 96, down from 137 days in 2017. And as indicated above, prices are also down, with the average sale price dropping from $855,343 last year to $813,282 this year. Please see market activity reports for more information. We see the market strengthening in Fairfield particularly near the beach and near town. Fairfield is definitely on many buyers’ radar due to its strong schools, beaches, vibrant town and university vibe. Fairfield appeals to buyers across the board from first time buyers to downsizing empty nesters. There is something for everyone. So far this year, 589 homes have closed in Fairfield compared to 780 for the entire year of 2017. The average days on market is down to 73 days compared to 97 days last year, while prices have risen. The average sales price this year is $790,459 compared to $743,596 last year. Please see market activity reports for more information. Norwalk has had a steady, busy year thus far. 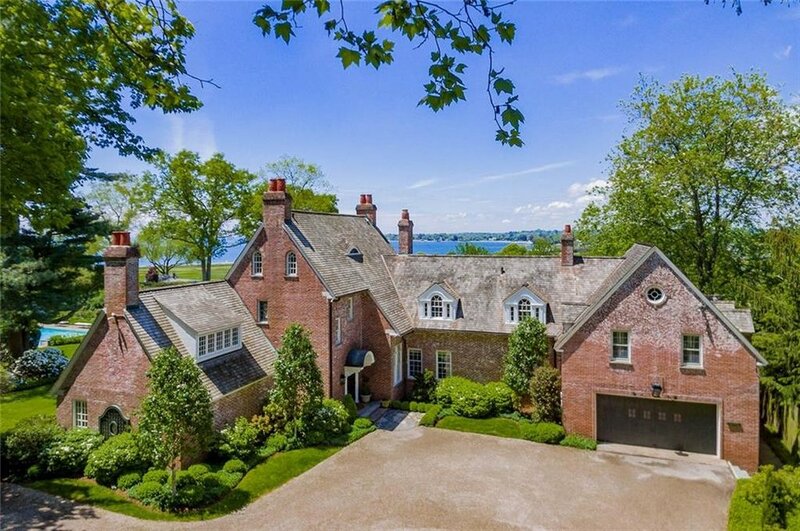 It is proving to be a great Connecticut “first stop” for home buyers and renters coming from more urban areas like New York. There seems to renewed interest in the laid back, artsy quality of Silvermine and what it offers; Marvin Beach and other opportunities to own on the coastline remain extremely popular as well. From September 1, 2017 to September 30, 2018, 514 homes were sold resulting in a 0.8% increase over the same period last year (510). The average sales price has climbed from $617,449 to $623,268. Sales volume has increased, and home values have gone up by 0.9%. More recently, just for the past month of September (54 home sales) the average sales price of $684,604 was at its highest level compared to 2016 and 2017. For the same period, the average number of days on market has dropped to 62 from 102 a year ago. That is also the lowest level since both 2016 and 2017. Please see market activity reports for more information. We are seeing well-prepared and well-priced homes selling in Wilton. It's all about value. The Wilton lifestyle with a vibrant downtown, close proximity to commuter routes and award-winning schools will continue to bring buyers into the market. The possibility of increased rates may bring a spike in sales for the last quarter. Wilton has seen 165 sales so far in 2018, compared to 181 sold homes for the same period last year; a decrease in closed transactions of nearly 9%. The average days on market was 94 compared to last year's total of 143 days on market. The average sale price was up to $893,864 compared to 2017 average prices of $848,853 an increase of over 5%. A few high-end sales, including one for $8,000,000, accounts for most of the increase in average price. Please see market activity reports for more information. Who creates the real estate market? Let’s go back to basics and remember that real estate is not a product, it’s a commodity. It is the buyer who establishes value. Similar to a stock -- Apple, Amazon, IBM -- the buying public pushes the price of a home up or down every day just like in the financial markets. The buyer’s perception of value determines whether your home sells. Or not. Going into the process, a seller may have an idea of the price someone will pay for their home and it may be based on what they paid, 2 or 10 or 25 years ago. It may be based on additional expenditures that have been spent on the home over the years, or how much the neighbor sold their house for. All of these things are irrelevant. Price is a moment in time! Educated real estate agents use current, relevant active and sold listings to guide you towards the correct price range for your home. These listings are what a buyer will use when it comes time to make an offer and also a bank appraiser, as the buyer goes through the mortgage process. Some factors that can influence pricing…supply and demand. If demand for houses increases faster than supply, house prices go up. If there is a glut of inventory…prices tend to go down. Interest rates and the economy are important influences. Are more jobs coming into the community? Is a major employer leaving? Don’t forget demographics. Baby boomers are downsizing. Millennials are deferring real estate purchases. Who knows what trend is next? Pricing your home to appeal to the largest number of buyers increases the chance of getting a buyer who will pay the most. The market won’t let you under price your home. Value pricing will result in multiple offers, even in a “challenging” market. If you only get one offer, the price isn’t too low. No showings, no repeat showings and no offers is the market rejecting the price. Do you want to be in the market or on the market? Do you want to chase the market or face the market? Do you want to SELL or STAY? Historically, the longer your home is on the market, the less it will sell for. Price it right from the beginning and get your property sold. Just remember...You, the seller, can set the asking price, but it’s the buyer that ultimately sets the sale price. Let KMS Partners help guide you through the selling process. We are in the trenches with sellers and buyers and have a keen knowledge of our local markets. One of the best parts of being a KMS realtor is that we never know who will walk through the door. Take for example two longtime Bronxville, New York residents. Every summer they bought an out-of-town pass for Compo. They spent as much time as they could at their favorite Connecticut beach. At last, they decided to buy a weekend home in Westport. They looked for a l-o-n-g time. Finally, they found a house and land they loved in the Old Hill section. They moved in in June. One of the couple commutes to New York each day. However, they marvel at their new life. Some weekends they entertain friends; others they spend quietly together. Both say that the wait for a place they love makes their new home even sweeter. They’re part of what we call “weekend homeowners.” Some are testing the waters before they commit to living here full-time. Others just enjoy having a getaway. All share a desire for a slice of something different from their weekday existence, on highly valued weekends. Westport has always attracted a creative, artsy, spirited crowd. Some come from New York, or other cities. Others live in smaller towns, but want access to the water. Shopping, restaurants, music and theater are prized attractions too. Then there’s that hard-to-describe Westport vibe that many suburban places lack. KMS worked recently with a Brooklyn family with two girls. The parents had gone to college in New England. Every summer, they rented a beach house. This year -- after several subpar experiences on Long Island -- some friends mentioned Westport. The family tried Beachside Avenue. Now, they’re looking for a home to buy. If they can’t find the right place, they’ll rent the same house again -- and keep looking. Weekend homeowners come in all sizes and varieties. Some are young families. Others are empty nesters, or people entering a new phase of life. Whoever they are, and wherever they come from, KMS Partners is ready to show them a weekend place. And, once they love it, we’re happy to help them move here for good! When we talk to potential homebuyers about Westport’s history, we mention our agricultural past. As we show you possible homes, we point out repurposed barns highlighting that farming heritage is an important part of this town’s charm. But whenever one of our KMS Partners talks about Wakeman Town Farm, Westport’s past truly comes alive. WTF (as it’s fondly and funnily known) is a working farm, complete with produce for sale, animals to care for, and year-round activity. It’s also much more. Wakeman Town Farm -- one of the oldest family farm properties in town -- is an educational center, with classes on cooking and baking, healthy food production, composting, even solar technology. It’s the site of a summer camp, and a year-round magnet for students of all ages. There’s a CSA, offering a delicious range of fruits, vegetables and more. WTF is also a gathering place for holiday parties, family fun days, “Green Days” and beer gardens. Anyone can rent the property -- including the newly renovated, gorgeous and very functional kitchen -- for special events, like birthdays and graduation celebrations. All this is overseen by Corey Thomas, the young and energetic “steward” who farms, cares for goats and rabbits and alpacas (! ), organizes classes, and draws in hundreds of volunteers who -- in true “it takes a village” spirit -- make Wakeman Town Farm hum. We love its mission: a place where anyone, without any previous knowledge of agriculture or animals, can learn about the land, expand their horizons, and feel part of a community of like-minded Westporters young and old. To us, Wakeman Town Farm is Westport at its best. This is a town that honors its rich and varied history. A place that embraces environmentalism. A community that knows our future depends on working together to conserve our resources -- and that wants to learn, together, how to do it. We hope you’re as excited about Wakeman Town Farm as we are. We’d love to show you around, and introduce you to some of its most ardent volunteers. WTF is one more reason we really “dig” Westport. As a new school year begins, get involved! New to the area, looking for a way to meet people and put your talents to work? Get involved in school! Lived here a long time, but eager to try something different and give back to the community? Get involved in school! You don’t even need school-age children. Whatever your passion, get involved in school! If you think volunteer efforts are limited to baking brownies for PTA fundraisers, think again. Schools rely on volunteers to power many activities. Libraries are hotbeds of activity all day long — and not all of them involve books. Librarians need help planning programs, organizing events and teaching technology. You’ll be amazed at the varied role libraries play in today’s schools. In culture-rich Fairfield County, moms and dads are a crucial resource. You can bring dancers, musicians, actors and authors into classrooms and auditoriums. In Westport you could join the Schools’ Permanent Arts Committee, which oversees more than 1,500 pieces of original paintings, sculptures and cartoons. High schools and middle schools in the area have robust theater programs. But the directors can’t do it all. They need set designers, costume experts, lighting specialists and much more to help put on spectacular shows. Other after-school programs rely on outside expertise too. Westport’s nationally recognized robotics teams are organized and coached by parents. So are chess programs in other towns. Many such activities begin with volunteers. Feel free to offer up your own special skills. Speaking of coaching: varsity, junior varsity and freshman teams need you. KMS Partners’ own Kim Harizman is an assistant high school girls’ tennis coach -- and she does not even have a daughter! Mothers and fathers can be tremendous advocates for important causes. Each town has organizations for parents of children with learning differences or special needs, and for intellectually gifted youngsters. There are state and national associations too. If you’re politically involved, consider education issues. From budgets to standardized testing, you can make your voice heard. If you’re particularly intrepid, you can run for your local Board of Education! Public schools, private schools, preschools -- all benefit from parental involvement. And that yields rewards far beyond the joy of giving back, and the satisfaction of using your talents for a good cause. You’ll meet new people, be exposed to new ideas, and learn new skills. And if baking brownies for fundraisers is your thing: You’ll make tons of quick friends.